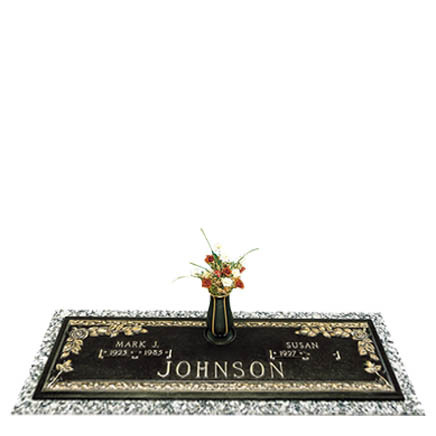 Choosing the right style of memorial can be a daunting task. 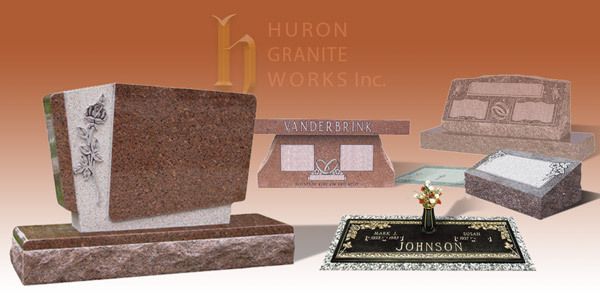 Huron Granite works can help you choose the memorial that best suits your needs, taste and budget. Some simple guidelines can help you in selecting a memorial for your loved one such as is the memorial for one or two people? Does the cemetery have special regulations that must be met? Are there other family stones you may want to match? Which color of granite do you prefer? These are just a few of the questions that can help us better understand your memorial needs and help you select the tribute that best fits the needs of your family. Upright monuments consist of two pieces. The top piece is called a tablet and a second piece of granite called a base. Monuments offer the benefit of standing up so they are easy to see in the cemetery. 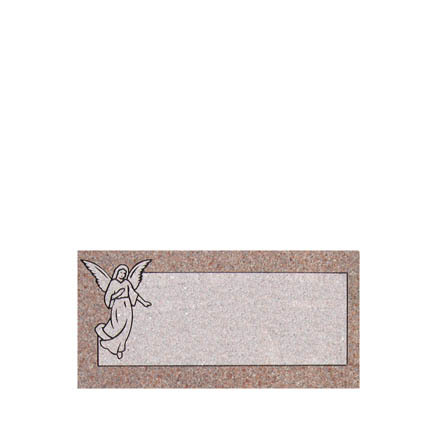 Also, monuments offer the most area for engraving and design. 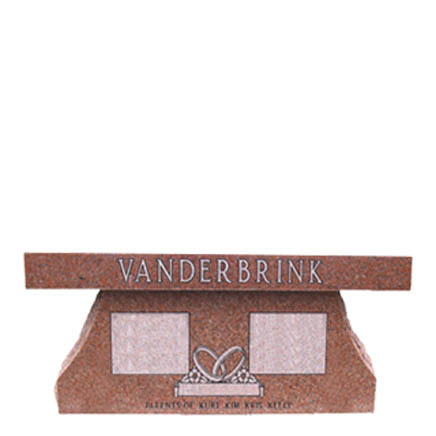 Slant style memorials are desirable for those looking for something that stands up in a way that is easy to read and spot from a short distance, however unlike monuments they are designed to not need a second piece of granite as a base. Bevels come in the same general sizes as flush markers, however they are designed (like slants) to sit above the ground. They have a slight angle or "bevel" to the top which makes them easier to read up close however they do not stand as tall as a slant marker and are generally less in cost than a monument or slant in the same type of granite. 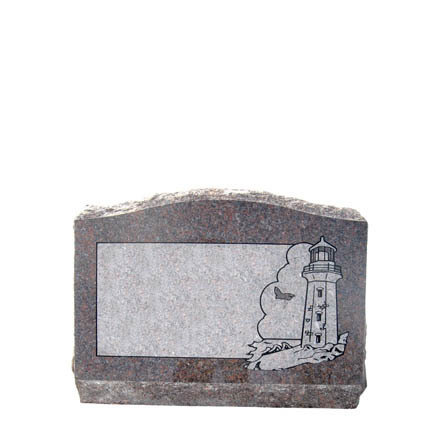 Flush memorials are typically the most economical compared to the other options in the same type of granite. These granite markers are designed to be installed lawn level allowing for mowing over the top of them. 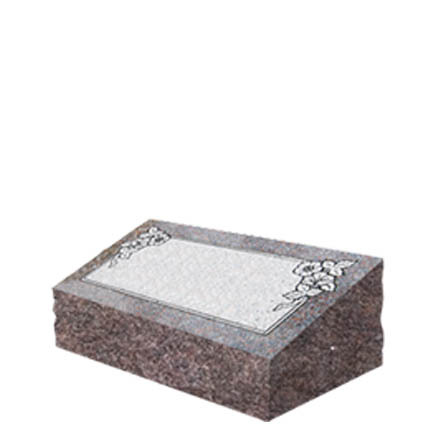 Many cemeteries have sections that are "flush only" and require this style. The area available for design is similar to that of a bevel memorial. Memorial benches offer a unique alternative to the more traditional styles of monuments and markers. These granite benches are both beautiful and functional. They come in a variety of styles however the most popular is our pedestal style bench. Bronze memorials are often required at certain cemeteries. These cast bronze plaques and vases are attached to a granite base that is then installed flush to the ground. 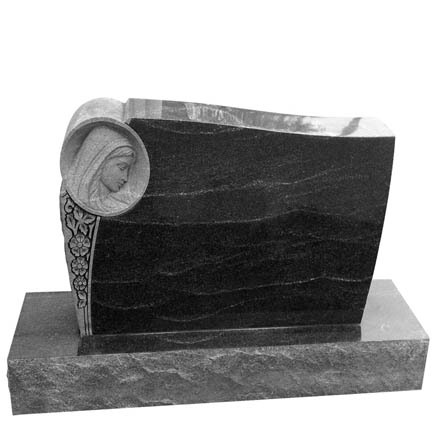 Bronze memorials are beautiful and durable, however they are more in cost than a granite only flush memorial.